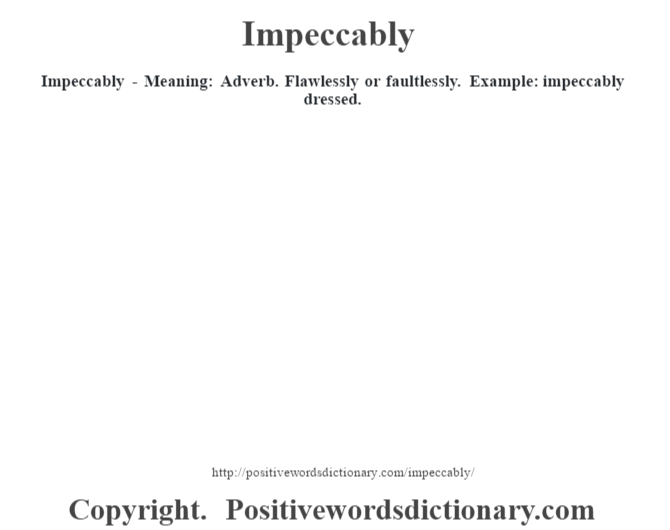 Impeccably – Meaning: Adverb. Flawlessly or faultlessly. Example: impeccably dressed.